Kate Harris is a writer and adventurer with a knack for getting lost. Named one of Canada's greatest living explorers, her journeys edging the limits of nations, science, and sanity have taken her to all seven continents by ski, bike, or foot. 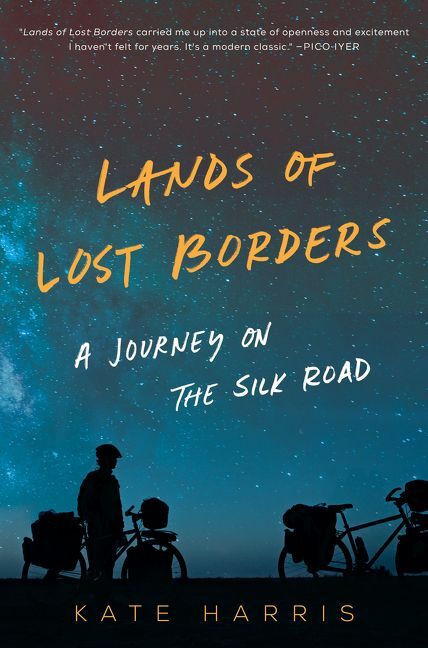 Harris’ debut book, Lands of Lost Borders (Dey Street Books) is an enthralling travelogue and memoir of her journey by bicycle along the Silk Road that dares us to challenge the limits we place on ourselves and the natural world. Lands of Lost Borders is the chronicle of Harris’s odyssey and an exploration of the importance of breaking the boundaries we set ourselves; an examination of the stories borders tell, and the restrictions they place on nature and humanity; and a meditation on the existential need to explore—the essential longing to discover what in the universe we are doing here. Harris explores the nature of these limits and the wildness of the self that can never fully be mapped. Weaving adventure and philosophy with the history of science and exploration, Lands of Lost Borders celebrates our connection as humans to the natural world, and ultimately to each other—a belonging that transcends any fences or stories that may divide us. 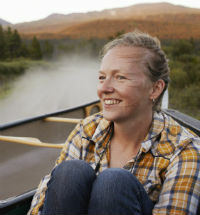 Harris’ award-winning nature and travel writing has featured in The Walrus, Canadian Geographic Travel, Sidetracked and The Georgia Review, and cited in Best American Essays and Best American Travel Writing. She has degrees in science from MIT and the University of North Carolina at Chapel Hill, and in the history of science from Oxford, where she studied as a Rhodes scholar. Passionate about adventure and the joys of risk and stepping out of your comfort zone, Harris draws audiences in with her incredible stories, exposing audiences to a world outside of their own. When she isn't away on expeditions, Harris lives off-grid in a log cabin on the border of the Yukon, British Columbia and Alaska. “Lands of Lost Borders carried me up into a state of openness and excitement I haven’t felt for years. It’s a modern classic.